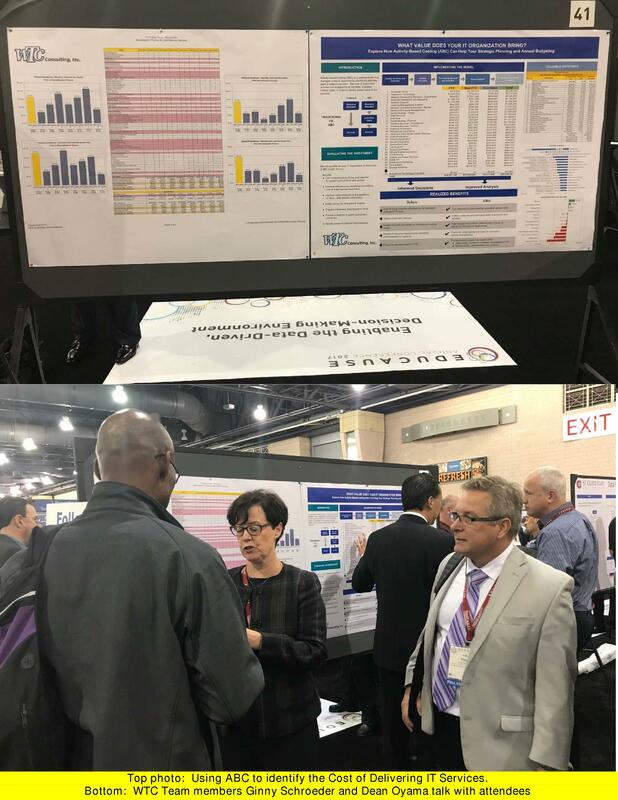 Poster Sessions at EDUCAUSE 2017 a Big Hit … WTC sponsors the event again. | WTC Consulting, Inc.
Poster Sessions at EDUCAUSE 2017 a Big Hit … WTC sponsors the event again. 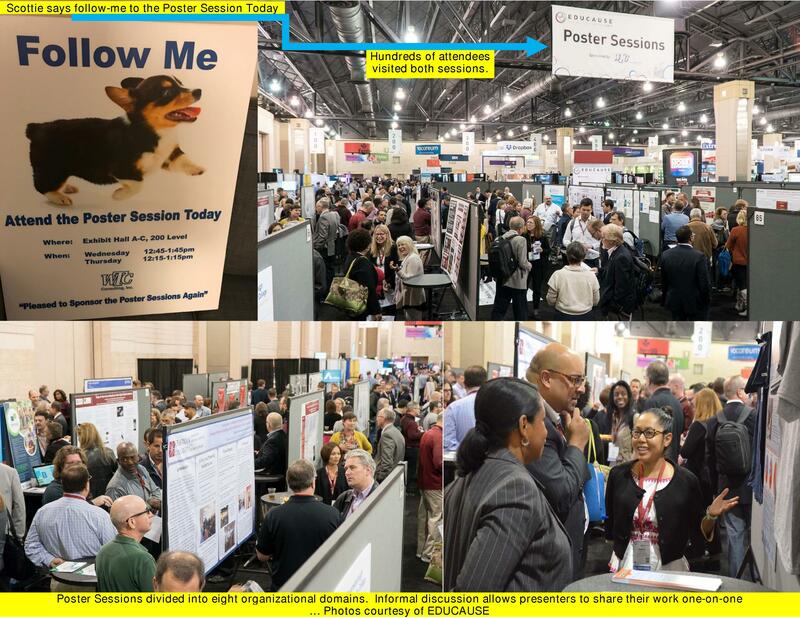 Over 150 colleges and universities participated in the EDUCAUSE 2017 Poster Sessions in Philadelphia, up from 104 participants at EDUCAUSE 2016. These sessions are informal one-on-one discussions with frontline campus innovators who have expertise and knowledge in implementing a project on campus, and share their story with graphics and posters. Presentations are organized under one of the eight conference organizational domains. This enables the attendees to concentrate on their areas of interest and visit the presenter with whom they share mutual interests. Attendees were very appreciative of the quality and depth of the material provided, and many attendees visited the sessions both days. WTC Consulting, Inc. sponsored the Poster Sessions for the second year. Our session was titled “Using Activity Based Costing to Identify the Cost of Delivering IT Services.” What is the best way to determine the cost of IT, generate forecasts, and benchmark against peers? The project leaders described cost drivers, methodology, rate philosophies, campus engagement, and implementation challenges. The WTC Team used the results to allocate IT costs, evaluate outsourcing targets, identify cost-cutting goals, and more. This entry was posted in About WTC, EDUCAUSE and tagged AIR, CISOA, HIMSS, NACUBO, NERCOMP, WTC. Bookmark the permalink.